New State of California legislation will affect a large number of building owners. Assembly bills 1103 and 541 adopted by the California Energy Commission December 2012 will begin phasing in this July for nonresidential buildings. It requires owners of nonresidential buildings to disclose energy consumption through the Energy Star Portfolio Manager software as part of any sales, lease or financing of the property. The first phase begins for buildings with a total gross floor area of more than 50,000 square feet. Buildings with a total gross floor area between 10,000 square feet and 50,000 square feet. Buildings with a total gross floor area between 5,000 square feet and 10,000 square feet. What happens – building owner or operator inputs the energy information into the Environmental Protection Agency’s ENERGY STAR Portfolio Manager system, which generates an energy efficiency rating for the building. Ratings are from 1 to 100, with 100 being the most energy efficient. If a building reaches a score of 75 or higher, owners can apply for an ENERGY STAR plaque. 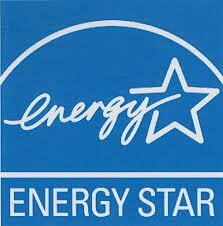 Any building applying for the ENERGY STAR label must have their data certified by a licensed professional engineer. * I just read a post on another website that the above legislation is delayed till September because the technology required for the program needs to be upgraded.